Last week I participated in an author panel for the Association for Strategic Planning Atlanta chapter. I shared insights and answered questions about writing both 99 Ways to Influence Change and Influence Change at Work™ Toolkit. One of the questions they sent us to prepare was: “What is the biggest mistake you see people make?” We never got around to that question during the panel, but a question as important as that needs an answer. My initial thought was that the biggest mistake people make when they implement change is to do nothing, or at least to not do enough. In a nutshell, change agents get stuck because they don’t do enough to stay unstuck. Of course, that is an obvious and unsatisfying answer that doesn’t help anyone. As I thought about it some more, I realized the mistake is not doing nothing. You assume everyone else will think the change is a great idea. You assume buy-in means a commitment to act. 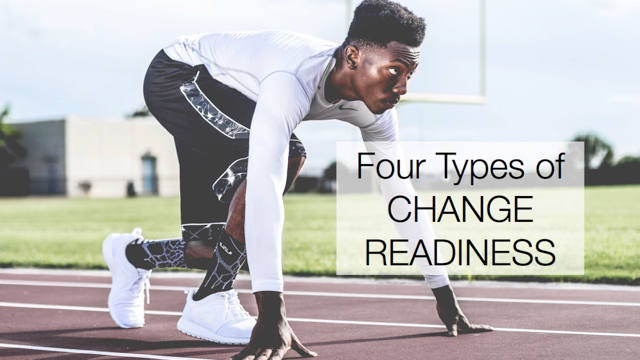 You assume managers will know how to incorporate the change into their departments. You assume people read their email. You assume people will be accountable to what they agree to do. You assume people have the same definition of success. You assume when someone shows resistance they are just being difficult or controlling. You assume people will take it and run with it, and that when they do, they will go where you expect them to go with it. You assume you don’t have enough power for people to listen to you. You assume if someone creates a roadblock, then that path is out of the question. You assume people will collaborate instead of remaining in their silos. You assume that it’s personal; or you assume that it’s not personal. You assume you’ve tried everything there is to try. When you make assumptions, it stops you from having a conversation. It keeps you from creating tools to help people change. It stops you from communicating what people really need to know. It prevents you from asking questions. It makes you throw up your hands in frustration. When it comes to your change initiative, what assumptions are you making about people’s motivation, or about their awareness of what is expected? What do you assume different people will do? Now, what if your assumption isn’t true? What common assumptions would you add to the list? What would you say is the biggest mistake change agents make? The biggest mistake I see change agents make is – not doing their homework in terms of anticipating outcomes of the change.This is beyond the assumptions, it’s an approach that looks at the change effort from the standpoint of “beginning with the end in mind”. So greater clarity about the end result, as well as the ability to adress key components (who, what, when, where, why, and how). Change always involves more than one person/entity, so communication and collaboration is key. And finally, having input from naysayers and your customers is one of the smartest moves a change agent can make.